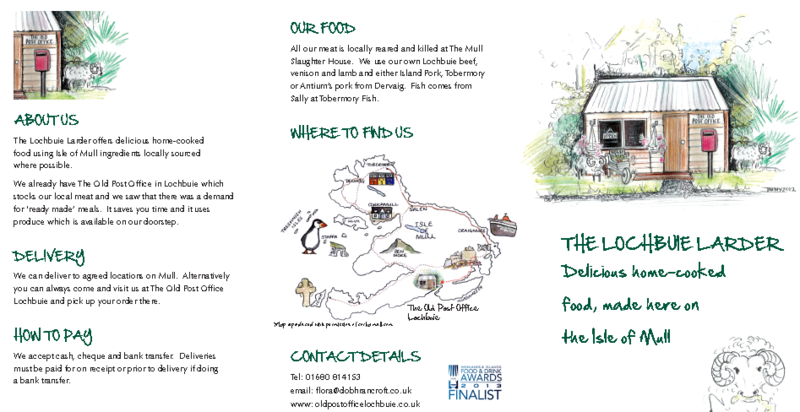 We are ever evolving and in 2013 we have introduced the Lochbuie Larder – delicious homemade ‘ready meals’ – we have done all the hard work and you just need to heat the food up, sit down and enjoy! There is lots to choose from and we hope that we can take the hassle out of cooking. We are both passionate about food and particularly local produce so where possible we have used food that is grown on the Isle of Mull. So we use our own local beef, venison, pork, lamb and also when possible locally grown fruit and veg. We only stock a very small amount of these in the shop but if you wish to pre-order for your holiday please get in touch on the website below. 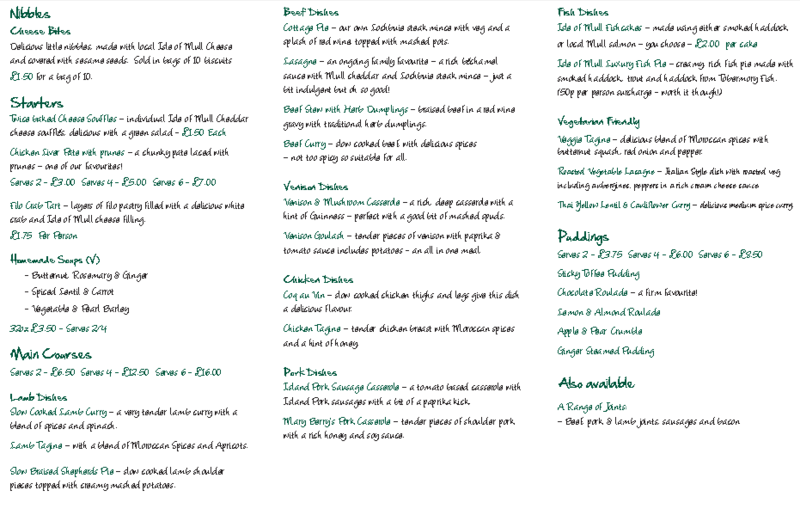 Or view the menu below…..